Our Mission: To deliver a complete and reliable service with the highest possible standards of workmanship to all of our clients at exceptional value and to always exceed your expectations. Our Vision: We sincerely believe that we can bring a sense of warmth and refined style into your home with our passion for colour, pattern and texture. The extent of our passion is evident in the skill of our workmanship, our endless search for the finest fabrics and materials and our unrivalled dedication to serving our customers. The end result is quality you will see and feel every day. We help make difficult decisions easy. We understand the specifications of our products as well as the art and psychology of light. Whether you live in a Georgian townhouse, a romantic cottage, a compact apartment or an airy, contemporary modern residence. We’ll provide the assistance you need to select the right window treatments to satisfy your style and compliment your décor. The company was founded by Lesley Duro. Lesley trained at the London School of Fashion and then worked as a buyer for leading High Street fashion chain. In 1978 Lesley decided to transfer her sewing and pattern cutting skills from clothes to curtains and opened a small studio/workshop just off Piccadilly in London. Preferring fresh air and open spaces, Lesley moved to the Cotswolds in 2000 and started Cotswold Curtains & Interiors. The success of the company can be largely attributed to Lesley’s “hands-on” approach and unrivalled knowledge of fabrics and the craft of curtain-making. Nothing leaves our premises without having been personally checked and approved by Lesley and her perfectionism and attention to detail ensures the highest possible quality control standards. 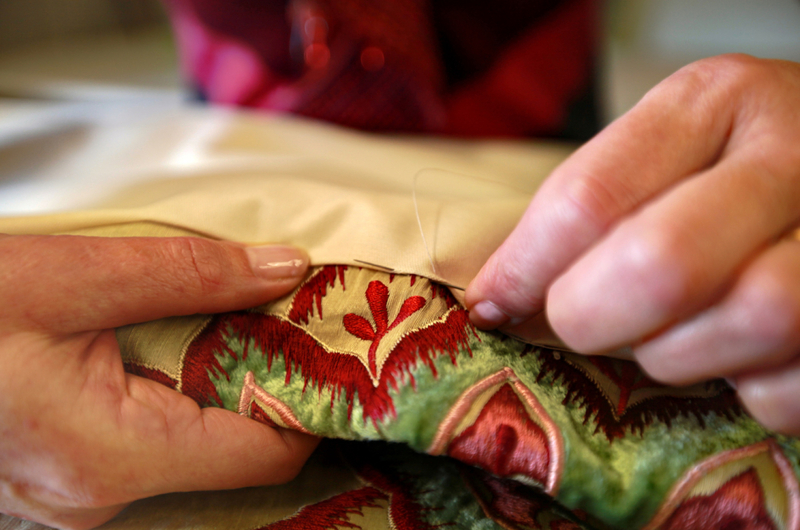 However, none of this would be possible without the skill and dedication of our small team of highly skilled seamstresses, all of whom have many years of curtain-making experience in their own right. We are not a large company. We actually consider ourselves a family and as such always have our finger on the pulse of our business and are able to ensure our high standards never vary whilst prices remain affordable. We supply window treatments of any style (and we’ll even invent a style if that’s what you or your window requires), soft furnishings, tracks, poles and accessories. 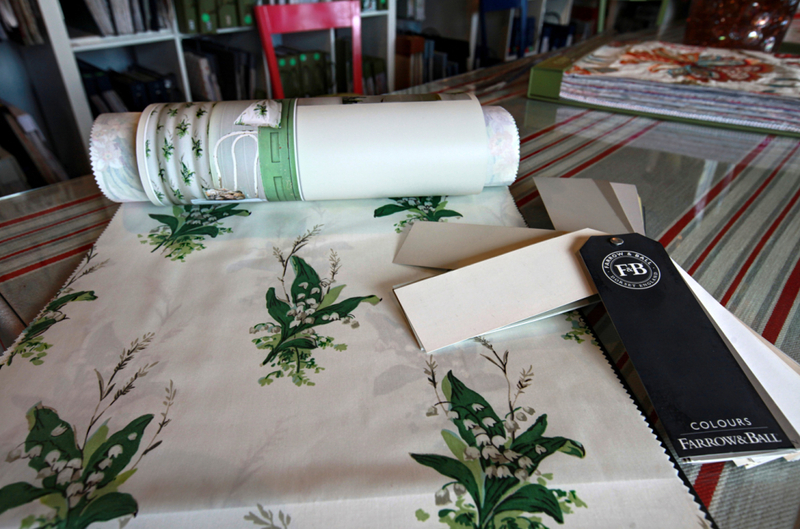 We have an extensive selection of fabrics with accounts with all of the major Fabric Houses. On the rare occasion that we don’t have the fabric you particularly require, we’ll source it for you. We sell our fabrics at competitive prices, whether as a part of a bespoke project we are carrying out for you or for your own use. I have used Cotswold Curtains and Interiors over the few past years a number of times. It really is a pleasure dealing with this company. Everyone is so friendly and nothing is too much trouble for them. I challenge anyone to find a better standard of workmanship. I am so pleased with the curtains you made for me. They were beautifully presented and so well made, I was over the moon. I am very impressed with how you run your business, everything is done with such style and such a good finish.